The Half-marathon contest which is arranged for elite runners to run through scenes of cities and riversides. Glow Run is suitable for runners with family and friends to share the happiness of night-run with each other, and challenge yourselves with medium long distance. Love Run is arranged with charity issue, for runners to experience the fascination of night-run with short distance and do the public charity at the same time. 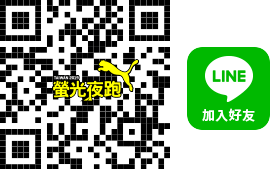 Brand new group-Campus Run opening in 2019 PUMA Night Run, to call for the attendance of all college students, infuse new energy of youth. Brand New Group Opening with Multiple Highlights Arrangement Exclusively for Campus Run! The most attractive PUMA Night Run is going to lead all energetic students of Campus Run to go through night views of cities and experience the exclusive fun, bring full new energy of youth to light up PUMA Night Run! Stars Leading-Leading by celebrities and have FUN night-run with all campus stars! Free Drawing-With 10 (or more) people can have the qualification directly without the process of lucky draw.